Seasonal Magazine: POWER FINANCE FPO - Invest or Wait? POWER FINANCE FPO - Invest or Wait? Power Finance Corporation’s (BSE: 532810, NSE: PFC) Follow-on Public Offer is to be priced at a band of Rs. 193 to Rs. 203, with retail investors getting a 5% discount, which means that the effective retail price would be around Rs. 193, assuming that the bulk of the non-retail subscriptions would be at the upper end of the band. The scrip continued to make new 52-Week Lows, with a new low of Rs. 205.65 registering today at NSE. Power Finance Corporation, the largest listed term-lending NBFC in the country, is attempting to grow bigger through this FPO, pegged to raise around Rs. 5000 crore. This state-run institution, which is already bigger than several banks by networth, will end up as the fourth-largest lender in the country by networth, post the FPO, ahead of even Punjab National Bank (BSE: 532461, NSE: PNB). But the question before investors is, of course, whether the PFC FPO holds any kind of unique promise for them. PFC’s track-record in wealth creation is quite mixed. This PSU which had its IPO in 2007, and started its listed journey at Rs. 104, naturally utilized FY’08’s bull run to quickly triple its market cap within a year. But when the downturn hit the markets, PFC overreacted in the reverse direction, going as low as Rs. 86 within the next year. Again, when markets started rebounding in 2009, PFC also made a comeback, this time less dramatic. But 2010 was quite good for the scrip, when it hardened the gains, and even scaled its life-time high of Rs. 383, which is quite impressive, as it amounted to a near 400% gain within 3 years. So the lesson No.1 here is that this BSE-500/NSE-500 scrip is a high beta one, especially on a longer time-frame, that can dramatically go up or down with the market. Anyway, that gain was for the long-holders, the IPO investors. For those who entered the scrip, at almost any point of time, in the last half-year-to-date and held it till now, it is a different story altogether. PFC has underperformed the market in a weekly, fortnightly, monthly, quarterly, and half-yearly basis. In fact, on a half-yearly basis, PFC has eroded share-holder wealth by around 42%. Now the question is how much of that steep fall is due to the FPO plans announced in advance, and how much is due to the fall in core performance. Looking at the last two quarters’ numbers sequentially, the price fall seems more than justified. 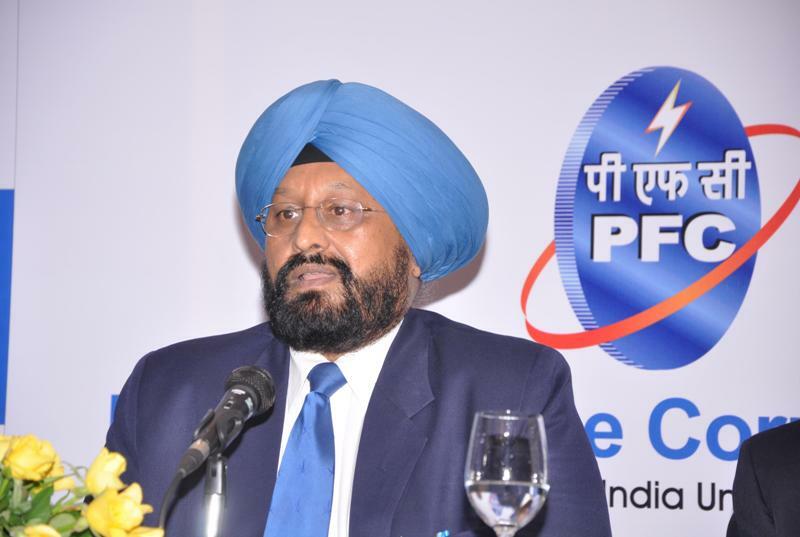 In the December quarter, PFC could grow its interest income by just 1.77% , while in March the growth was just 1.62%. Even more unimpressively, profits had dipped by 6% and 8% in these last two quarters. This significant underperformance had started earlier - as a slowdown in the September quarter - and it would seem that for the last six months, PFC has hit some kind of a wall preventing further growth. In fact, the prime reason why PFC’s FPO is not just a stake sale by Government, but a significant issue of new equity, is this growth obstruction. NBFCs can lend only 25% of their networth to a single company or maximum 40% of its networth to a group of companies. This had prevented PFC’s ability to fund larger power projects of, say, Reliance Power (BSE: 532939, NSE: RPOWER) or Tata Power (BSE: 500400, NSE: TATAPOWER), or to lend more to their parent groups, Reliance Group (formerly Reliance ADAG) or the Tatas. Though the FPO will solve this, and will boost PFC’s loan book in the short-term, whether this will further the downside risks possible on the income and profit front, remains to be seen. The downside risk shouldn‘t be discarded, as already PFC is suffering from too much concentrated exposure, with 54% of their loan book made up by just 10 borrowers. Despite the hype surrounding large power projects, the ground reality is that these long-gestation projects have upset the calculations of not themselves, but their lenders, their shareholders, and the nation. Reasons are many, including fuel shortage, as in the case of coal. But PFC doesn’t have much of a choice over here - whether to shun or support large power projects - as their other kind of customers, the State Electricity Boards, have been alarmingly worsening in health, for some years now. Coming to the core metrics and valuations, PFC comes across as an average buy. Its Return on Equity (RoE) of nearly 17% is poorer than other term-lending institutions like IFCI’s (BSE: 500106, NSE: IFCI) 21%, or Rural Electrification Corporation’s (BSE: 532955, NSE: RECLTD) above 18% RoE. However, PFC’s cash flow position was better than either of them in FY’10. Valuation wise, PFC’s TTM P/E at the FPO price of Rs. 193, comes to 8.46 times, and is reasonable, but comparable peer REC is also valued the same, while IFCI is available at around half of PFC’s valuation. Also, since the FPO involves 15% of new issue of shares (dilution), PFC is, in fact, costlier than REC. Price-to-book-value wise, PFC is comparable to REC at 2 times, but double that of IFCI’s 1 times P/BV. All these term-lending institutions can look up to the hefty valuations of their peer IDFC (BSE: 532659, NSE: IDFC), which enjoys a P/E of 24 and a P/BV of 3, but it is highly unlikely that players like PFC would be re-rated to match IDFC, as IDFC finances a more diversified, faster infra growth. All in all, PFC is a same-weight or equal-weight kind of stock, which justifies no rush-investing like in an FPO, but since it is directly coupled with the country’s power sector growth, it can be considered for a 5-10 years time-frame, if picked at the lowest possible price. For example, considering the 15% dilution involved, if it is picked up at around Rs. 167 at a P/E of 7.3 times during a downturn, PFC can be a reasonable buy. At the FPO price of around Rs. 193 (after the 5% retail discount), the issue doesn’t look like a good buy. Maybe one will get a 5% short-term gain, but investing for that seems impractical, as there are downside risks like interest risk, dilution risk, and, of course, market risk due to its long-term high-beta.